"Pardon me?" 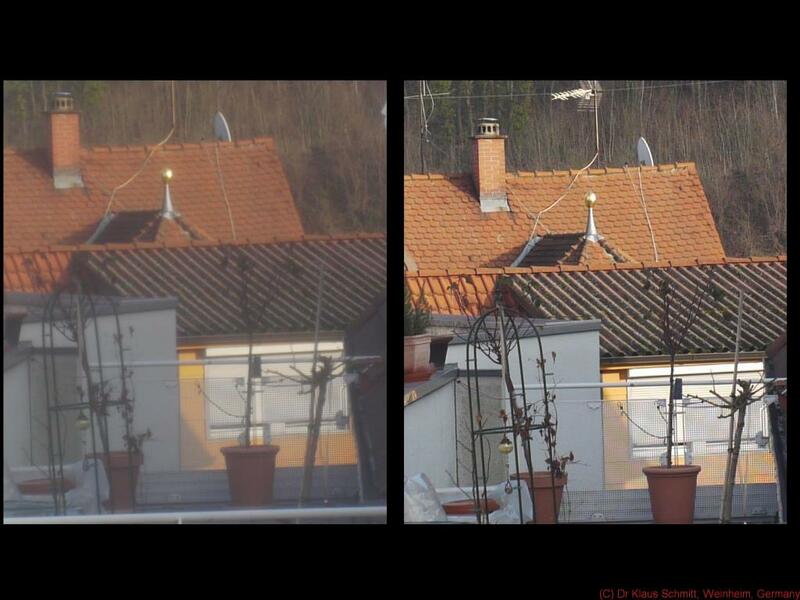 you may think, but it is about the effect of age/condition of lenses and the effect on image quality. I have a c-mount Kinoptik 2/25mm and just got for test a Cameflex (CF for short) version of the very same optic. 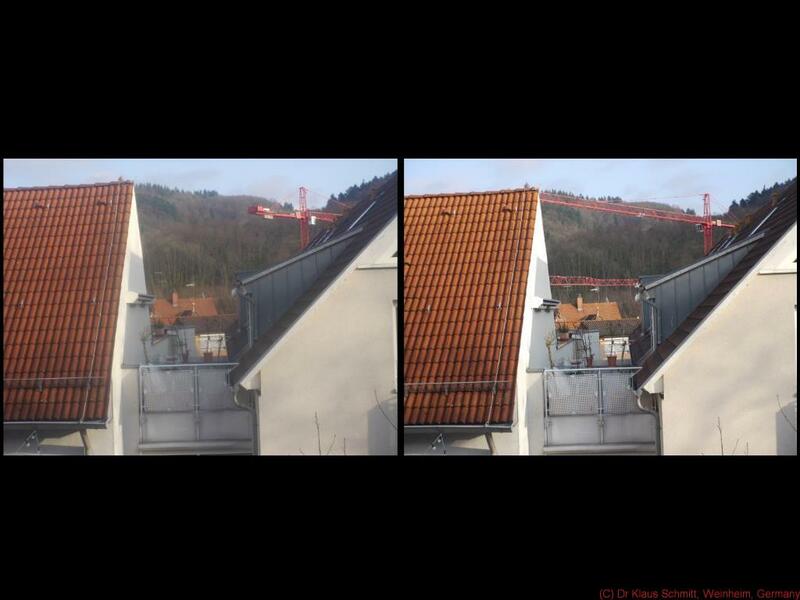 Left the results using the CF version, right the c-mount version, both shot under identical conditions just seconds in between using my GH1. First the full image, then as a second pic a 1:1 zoom into the center of it. Reasons for that massive difference? The CF version has a scratched rear element and some fogging on the rear element only visible in strong light against a dark background. So be careful what you buy esp. on ebay and/or ask the right questions early enough! Thanks for the post, Klaus. Well Sebastien, I am well aware of these rules, but was just curious to see how different that lens would perform, so I got it for testing (since it was also very affordable). It did turn out as I had suspected and wanted to share these results here, before it went back to its owner. or other stuff on the lens surfaces such as fine grease mist condensation (lens kept in a hot place like a car back window) causes massive loss of contrast. 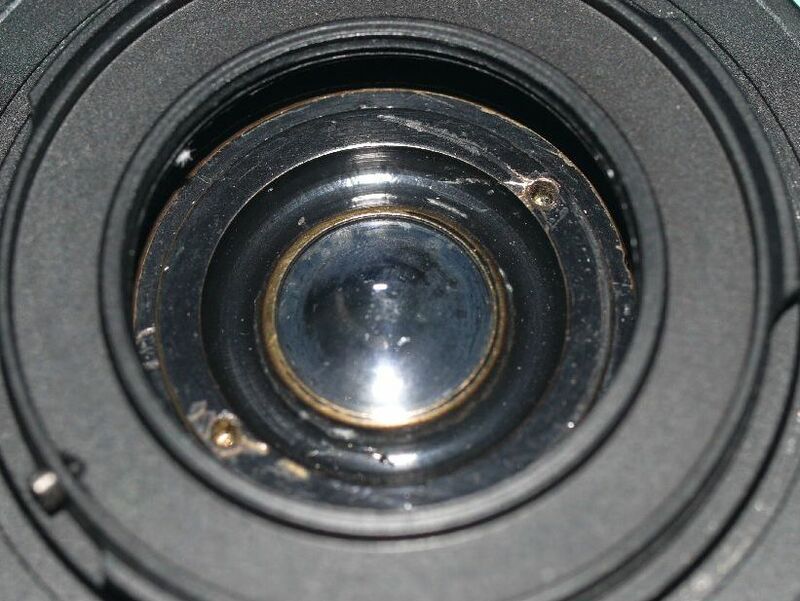 The latter can often be professionally cleaned, if it is not "baked" to the lens surface. 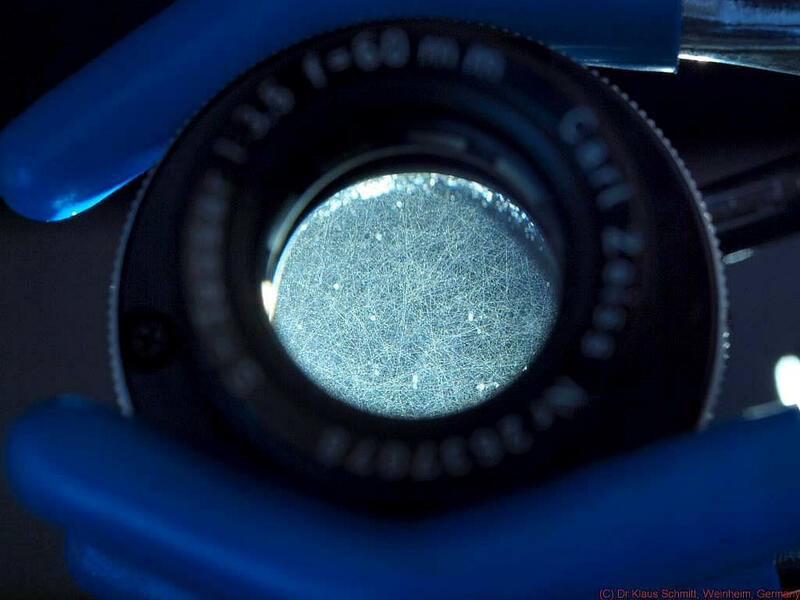 Lens element separation (of cemented lens elements, which looks like a rainbow developing) is also often seen as massive degradation of lens quality, but it is not in my experience and hardly noticeable in the results.